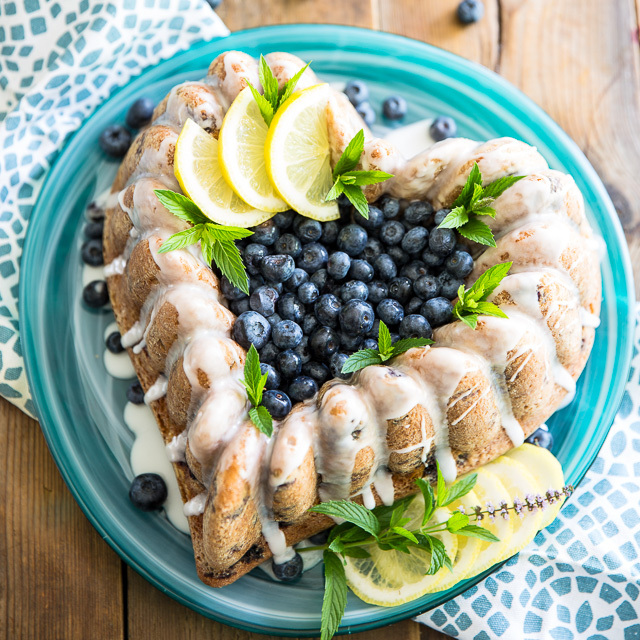 Simple yet incredibly elegant, this Blueberry Lemon Bundt Cake is wonderfully moist and tastes every bit as delicious as it looks! Sometimes, you know, being a food blogger is like the best job in the whole wide world. 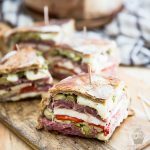 You spend most of your time cooking whatever it is that your heart desires, creating wonderful recipes and then you make your delicious creations look as pretty as can be so you can take their picture. 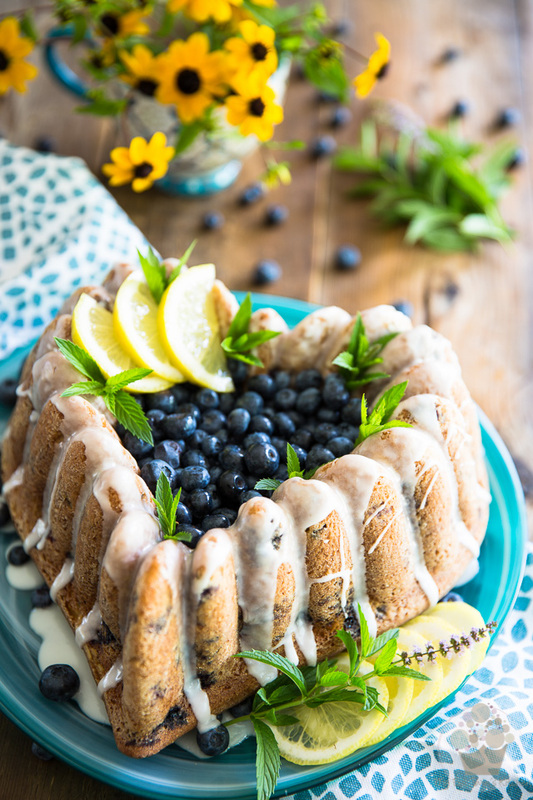 And then, one beautiful, sunny afternoon, you finally seem to get out of that yucky patch of mud you’ve been stuck in and manage to come up with the most gorgeous looking, the most appetizing and heavenly smelling Blueberry Lemon Bundt Cake you’ve ever baked. Or well, it feels like it as said cake comes out of the oven, anyway. Because it’s PERFECT, you know. 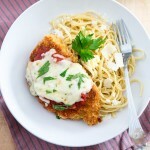 Finally, you’re staring at a recipe that is a COMPLETE success. 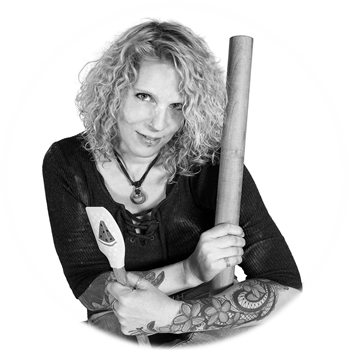 And then, you go and completely destroy that perfect cake you’d just made by clumsily letting it slip from your hands as you attempt to flip it onto a cooling rack. And so apparently, the curse continues. Never, ever, EVER in the entire history of my life had I had something like that happen to me. Of course, it HAD to happen on THAT day. I wasn’t about to let that destroy me, though. I immediately proceeded to make a second cake, and this time, really focused on the task at hand when came the time to unmold it. Thankfully, cake number 2 came out just as perfect as its predecessor and made it to the cooling rack in one piece! And if you don’t go dropping yours, you’re looking at a cake that is incredibly simple and super easy to make, but that looks so elegant, it will not doubt be the star of any table you happen to place it on! 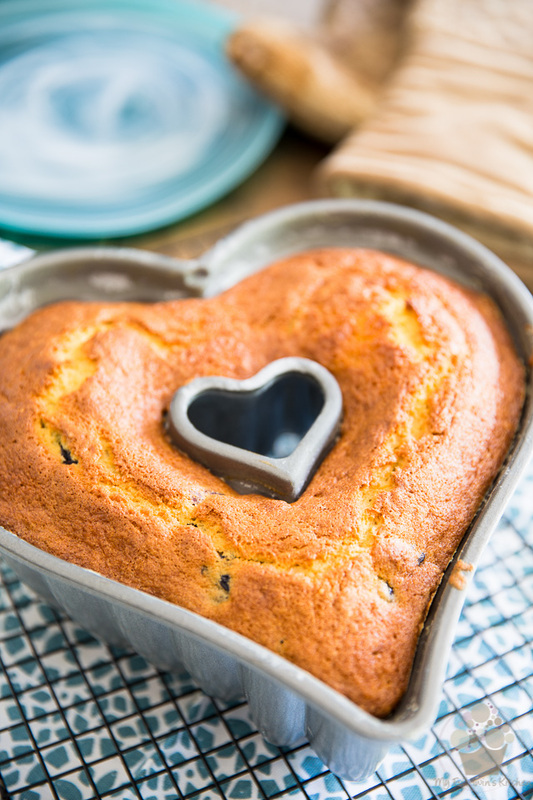 Preheat your oven to 350°F; grease and flour a 10 cup Bundt pan (I chose to use this pretty heart shaped Bundt pan, but feel free to use any shape you prefer) and set it aside. Combine the flour, baking powder, baking soda and salt in a medium sized mixing bowl; mix well with a whisk until thoroughly combined and reserve. In a glass measuring cup, combine the buttermilk, lemon zest, vanilla and lemon extracts and stir until well combined; reserve. 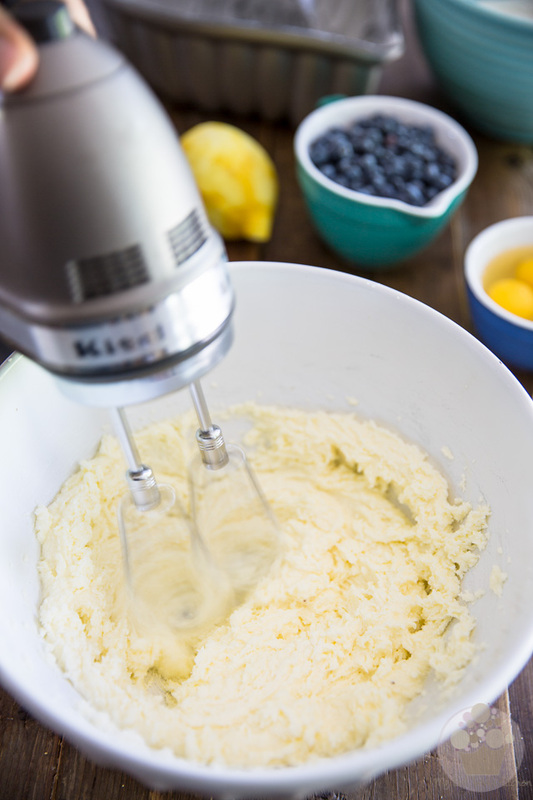 Beat the butter and sugar with an electric mixer at medium-high speed for 2 minutes, until well combined and creamy. … and beat for about 30 seconds between each addition. 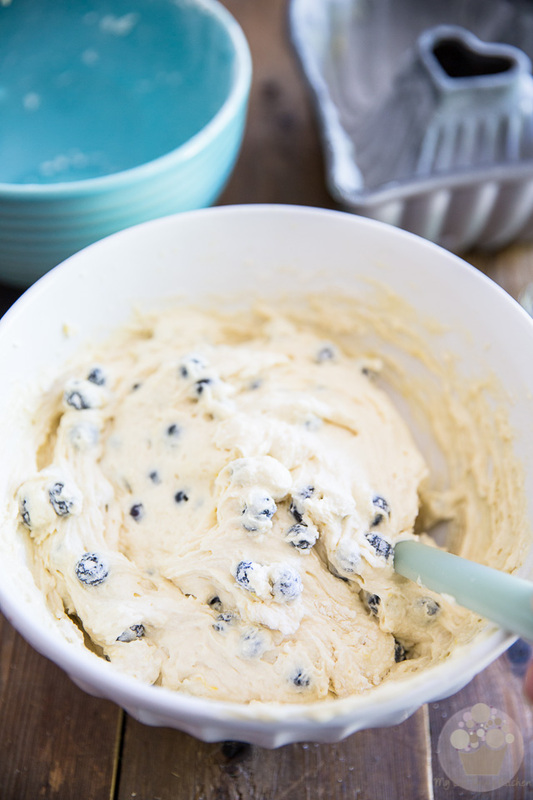 The batter should become light and fluffy. and then pour in half of the buttermilk mixture; resume mixing on low speed until just combined. Repeat with another 1/3 of the dry ingredients, then remaining buttermilk, and finally, add the rest of the dry ingredients but with that final incorporation, leave a few tablespoons of the flour mixture in the bowl. 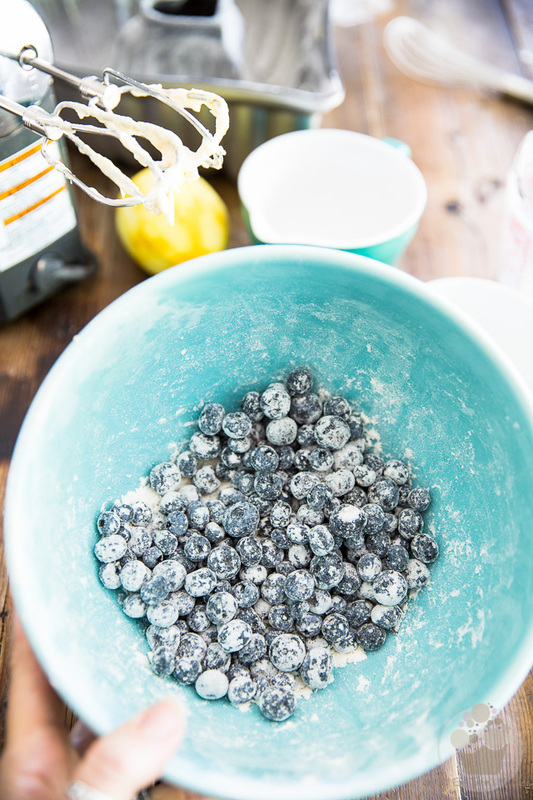 Add the blueberries to that bowl and stir them around delicately until they are completely coated with flour. 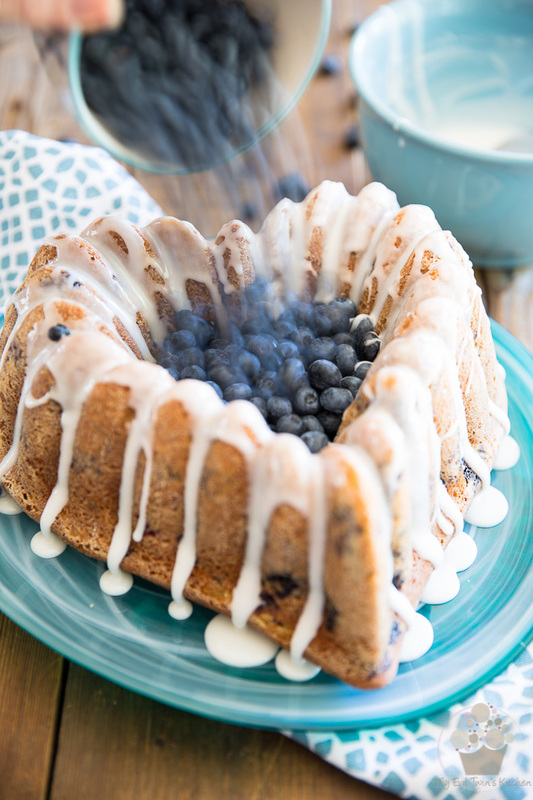 This simple precaution will prevent your blueberries from sinking straight to the bottom of the pan as your cake slowly bakes. 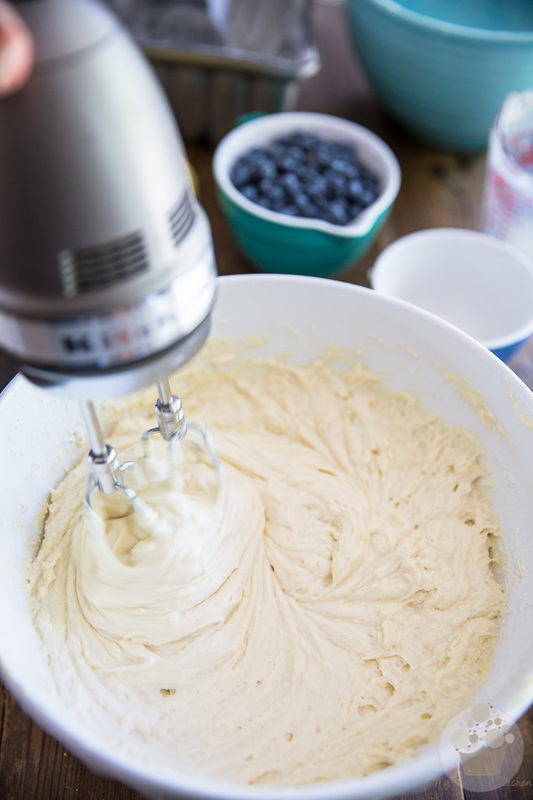 Now throw the flour coated blueberries into the cake batter and delicately fold them in with a rubber spatula. Transfer the cake batter to the prepared pan and bake for 50 minutes or until the top gets nice and golden brown and a toothpick inserted in the center of the cake comes out clean. Then VERY DELICATELY AND CAREFULLY (if you’re me, anyway!) invert your cake onto the rack and let it cool completely. 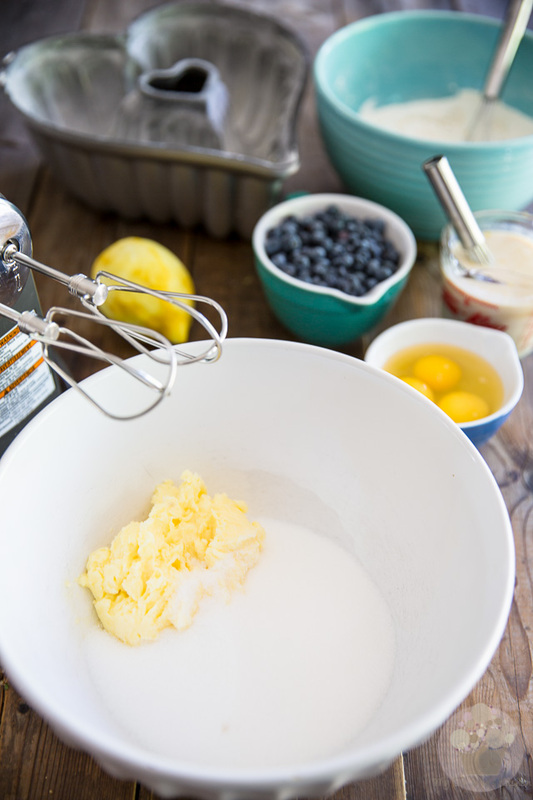 Place the powdered sugar in a mixing bowl and to it, add the lemon juice, one tablespoon at a time, mixing well between each addition until the desired consistency is achieved. 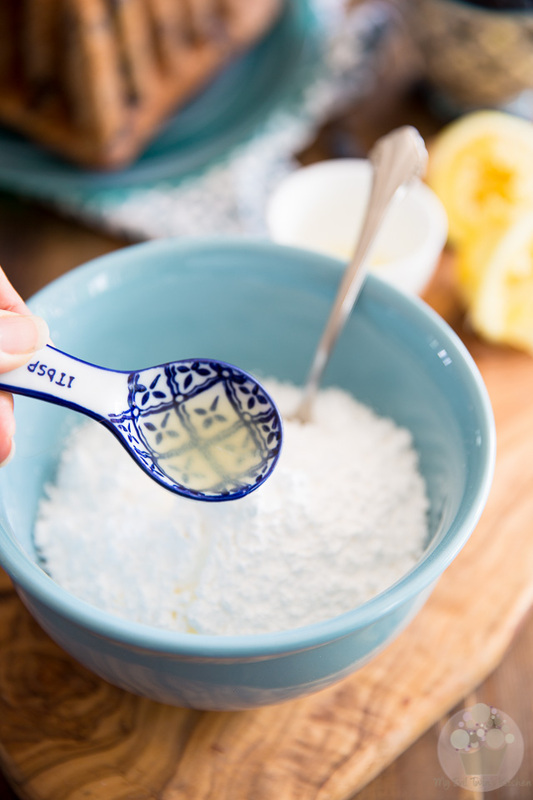 Don’t be tempted to add that lemon juice all at once: powdered sugar dissolves extremely quickly and easily, and really doesn’t need a lot of liquid in order to turn into a glaze. This is the consistency that you’re after: a somewhat thick but highly drizzleable icing. Oh, and if you want a stronger lemon taste for your icing, feel free to add a few drops of lemon extract to it. Not much, though. A little goes a long way! 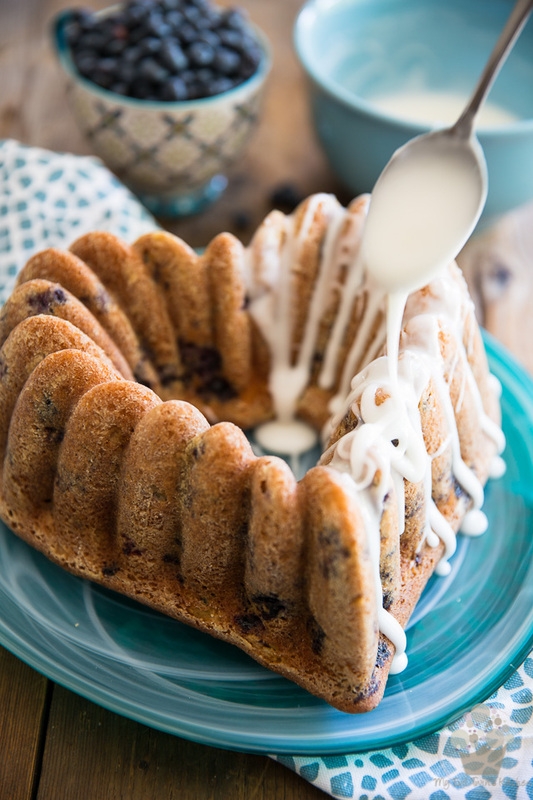 Place the cake on a cake plate and drizzle the icing over its top with a spoon. No need to be all fancy about it; there’s no exact science here. 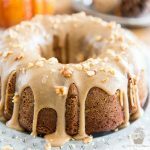 Just drizzle the glaze over the cake and it will drip down the grooves of the cake on its own. 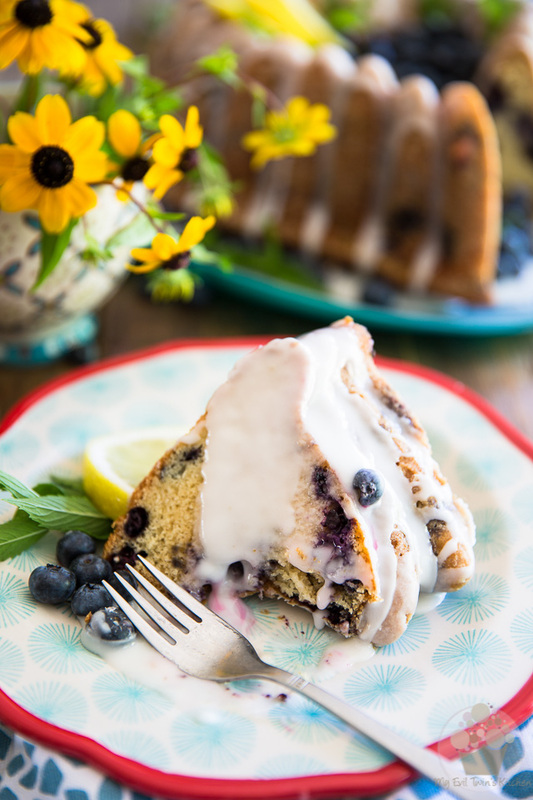 Now if you want to, throw some fresh blueberries right in the center of your cake. Finally, add the finishing touch and garnish your cake with slices of lemon and fresh mint leaves. 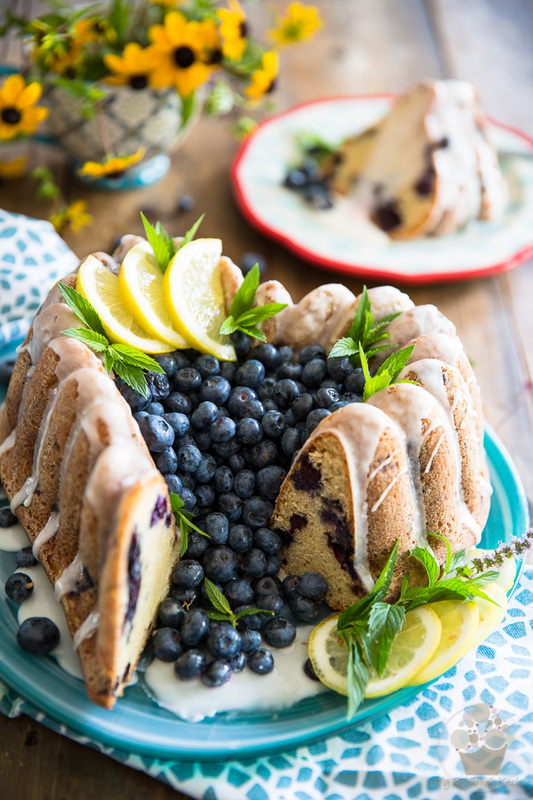 I strongly suggest that you serve your cake at room temperature, but because of the presence of fresh blueberries, any leftovers should be kept in the refrigerator for up to a week. 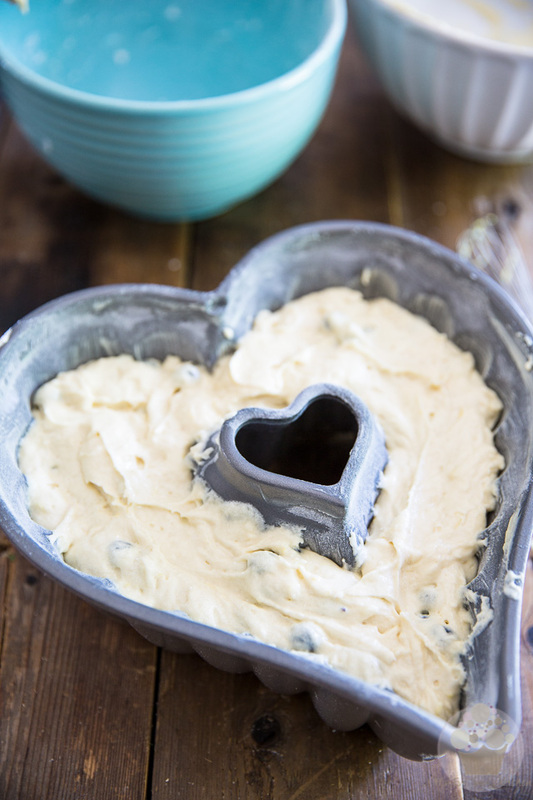 Preheat your oven to 350°F; grease and flour a 10 cup bundt pan (I used this pretty heart shaped pan and set it aside. Combine flour, baking powder, baking soda and salt in a medium sized mixing bowl; mix well with a whisk until thoroughly combined and reserve. 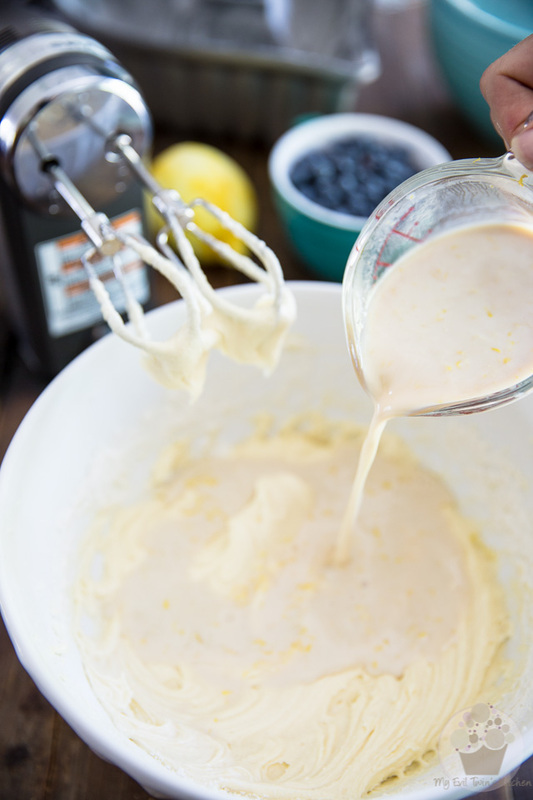 In a glass measuring cup, combine the buttermilk, lemon zest, vanilla and lemon extracts and stir until well combined. Reserve. 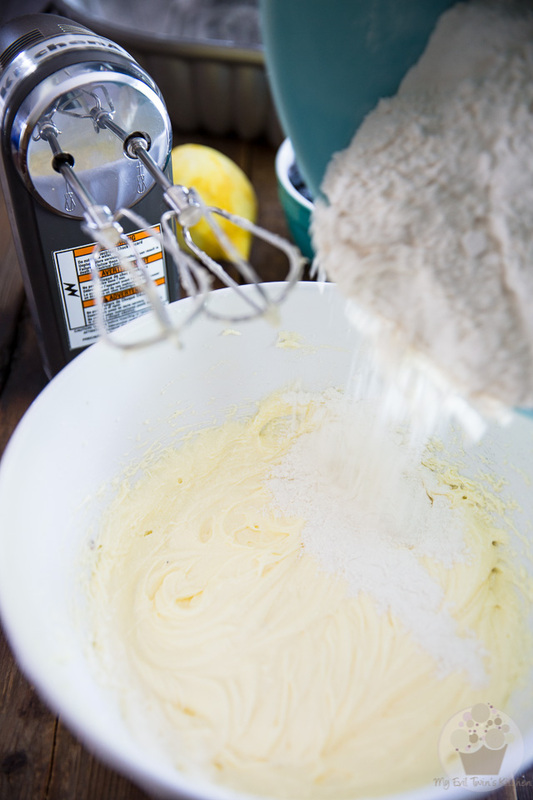 In a separate, larger mixing bowl, cream the butter and sugar with an electric mixer at medium-high speed for 2 minutes. Add the eggs, one at a time, beating well between each addition until light and fluffy. Add one third of the dry ingredients and mix on low speed until barely just incorporated, then pour in half the buttermilk mixture and resume mixing on low speed until just combined. 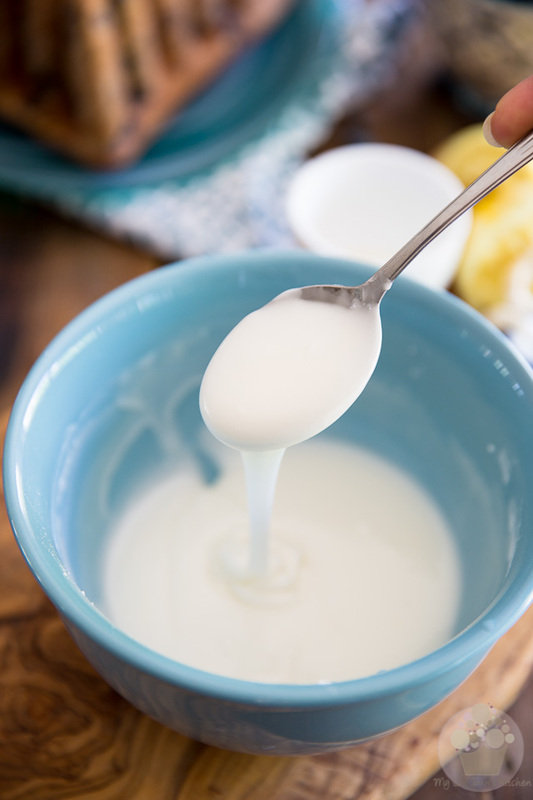 Repeat with 1/3 of the dry ingredients, then buttermilk, and finally, add the rest of the dry ingredients but leave a few tablespoons in the bowl. 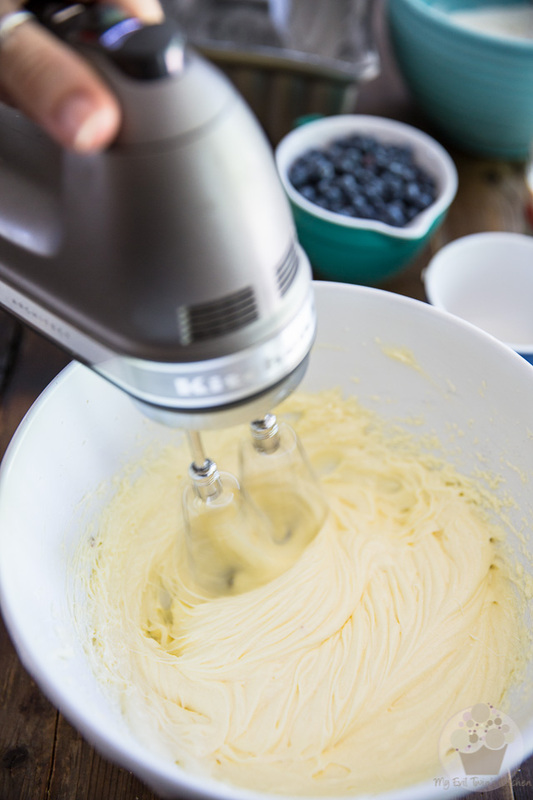 Add the blueberries to that bowl and stir them delicately until they are completely coated with flour, then throw them into the cake batter and delicately fold them in with a rubber spatula. 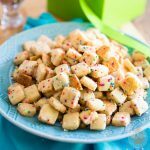 Transfer the cake batter to the prepared pan and bake for 50 minutes or until the top is nice and golden brown and a toothpick inserted in the center of the cake comes out clean. 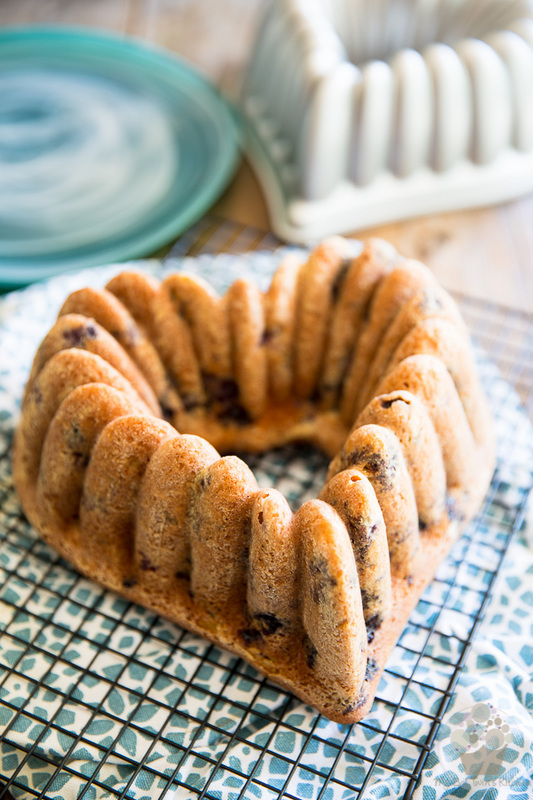 Place the cake on a cooling rack and let it cool in the pan for 10-15 minutes, then very delicately invert it onto the rack and let it cool completely. 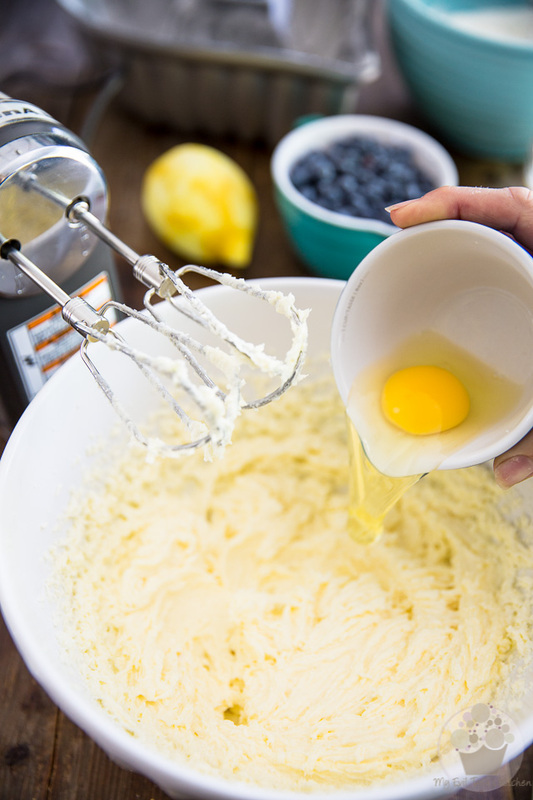 Place the powdered sugar in a mixing bowl and to it, add the lemon juice, one tablespoon at a time, mixing between each addition until the desired consistency is achieved. A semi-thick, drizzleable icing is what you're after. If you want your icing to have a more intense lemon flavor, add a few drops of lemon extract to it. 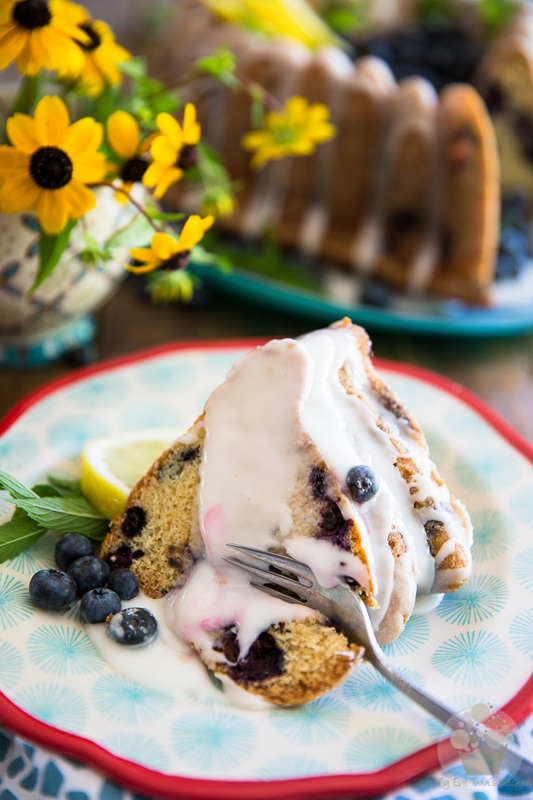 Place the cake on a cake plate and drizzle the icing over its top with a spoon. 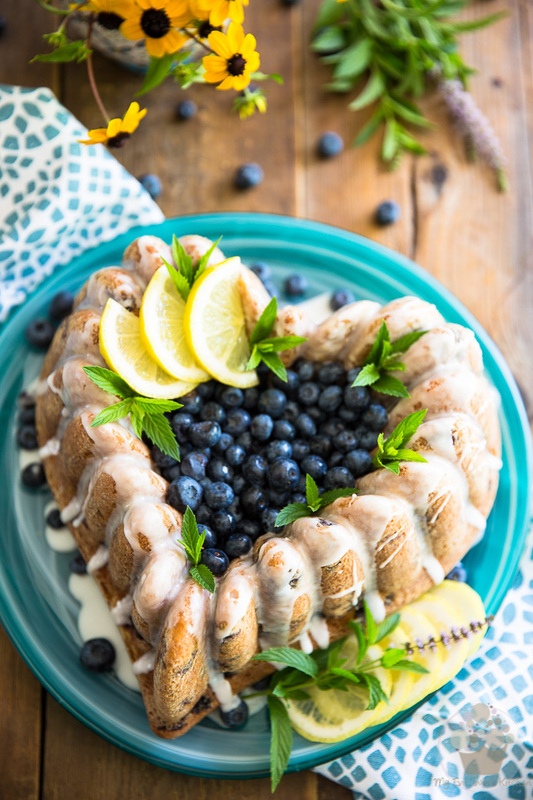 Throw some fresh blueberries in the center of the cake and garnish with slices of lemon and fresh mint leaves, if desired. 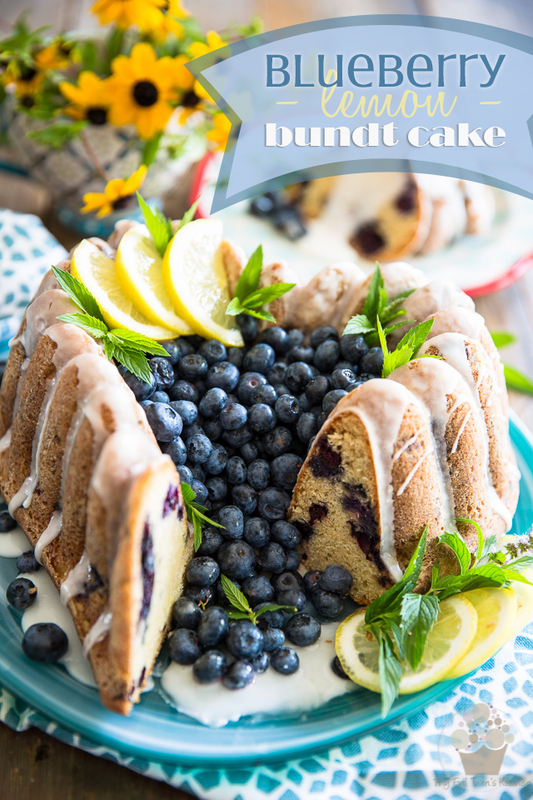 This cake is best served at room temperature but because of the presence of fresh blueberries, any leftovers should be kept in the refrigerator for up to a week.